This trip was perfect ! I had such a good time. The hikes were great and so were the views. Our tour guide, Raul, was awesome. He always kept things fun and lively. Day two was by far the hardest part, but getting to the top was totally worth it and the views on the way down were breathtaking. What a totally incredible experience... Where to start. The views were literally breathtaking. I have never seen anything like it before. The food that was prepared for us (3 times a day) was so good. It was a great introduction to Peruvian food. 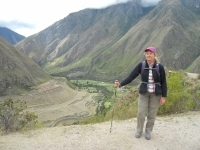 I went on the Salkantay trek rather than the classic Inca Trail due to unforeseen reasons. 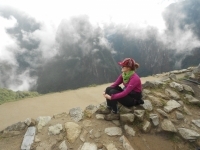 I was disappointed at first but thank goodness the Salkantay 4d/3n package took me to some breathtaking places. 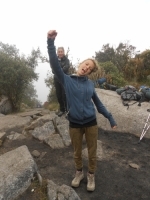 Overall the Inca Trail was not what I was expecting and I didn't really enjoy the trail. Carlos our guide was brilliant and was a good laugh. 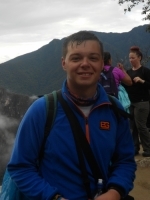 He helped me out a lot when I got ill half way round and was very knowledgeable. 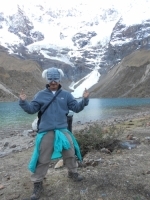 Just gotten back from the Salkantay trek (4 days). 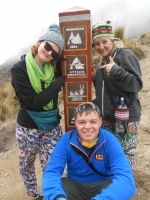 It was a great adventure made all the better by the great guide, the awesome cooks and horsemen and finally the other trekkers ! 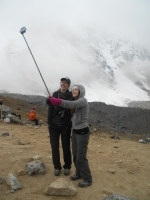 We did the Salkantay trek (4 days) and really enjoyed it. The guide, food and landscapes were all wonderful. 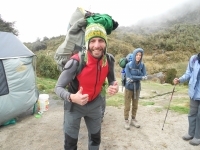 We were served coca tea in our tents every morning as our wake up call which was a nice touch, and the guide helped us with any altitude sickness we suffered from. 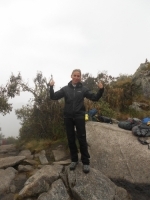 I had a great time doing the Inca Trail with Inca Trail Reservations. 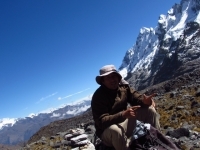 The guide was excellent, he gave good brief of the plan for each day, and was knowledgeable about the Incas explaining in good English. I was very well looked after by all of the staff. 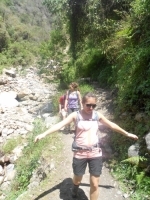 I found the second day very difficult and the rest of the group were miles ahead of me and yet there was always a guide who stayed with me and I never felt rushed. Even though I had to take a horse ! When I was 8 years old, my school teacher asked me to do an essay about the Inca empire, and especially Machu Picchu. Since I wrote that essay I had in my mind to visit the city and ruins. I want to say that finally I did it. The experience was great. The four days of my trail where perfect. Had a fantastic time and all the team were very good and informative. Despite feeling very tired after my "highs and lows", I enjoyed it so much with great memories. 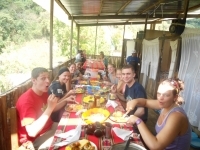 The porters offered a great service and were unbelievably helpful and the cooks gave us some wonderful meals. Los días pasados en el Camino del Inca fueron muy especiales, rodeado de fauna y un entorno mágico. Los templos y restos arqueológicos son espectaculares y las vistas inmejorables. Una vivencia única y que recordare durante mucho tiempo. Hola ! 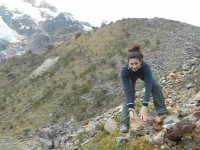 Tan solo decir que ha sido una grata experiencia el poder compartir esta aventura con gente de todos los países y un equipo de profesionales de el primero al ultimo (porters, chef, guías y compañeros aventureros). El premio final, el gran Machu Picchu. I really liked the trip ! Sometimes it was difficult, but the experience was really really nice. The views, the ruins, the nature,... I really liked it. I would recommend everyone this great adventure.